Danny Darst is a singer/songwriter/poet/playwright/actor and master storyteller. December 2010 saw the World Premiere of his semi-autobiographical theater stage production work “EXIT 10” and the release of his album/soundtrack “Danny Darst (songs from EXIT 10 the play)”. 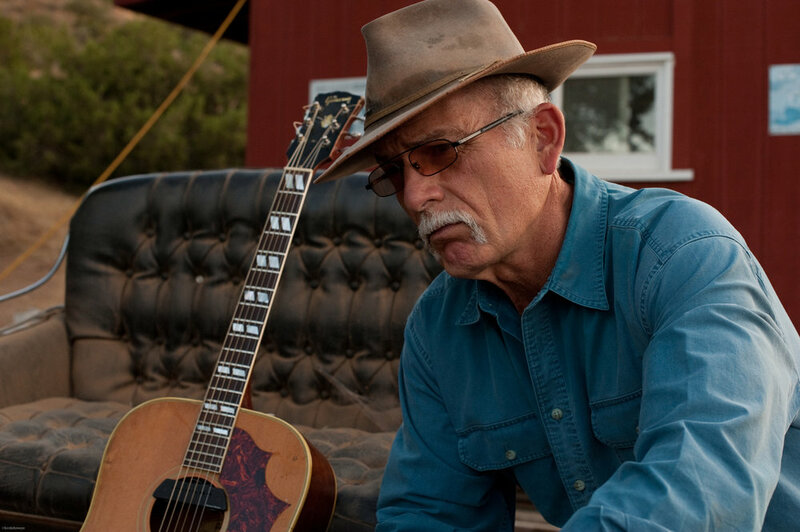 Danny is no stranger to the Americana music scene as well as the stage and the silver screen. He first appeared in theater in the 1981 production of 2 By South, written by Frank South and starring Leo Burmester and Alfre Woodard. Playing a number of his original songs, the New York Times called his performance “a chilling, hallucinatory embodiment of the protagonist's phantom dreams.” Robert Altman made his debut as a theater director with the play, which was performed in Los Angeles and in New York and filmed for the Arts Channel. This marked the beginning of Danny’s lifelong relationship as collaborator, confidant and close personal friend of the legendary Academy Award winning director /writer/producer. Among Danny’s nine top-five singles are two Number One hit records: “Black Sheep” (co-written with Robert Altman) and recorded by John Anderson and “Roll On Big Mama” recorded by Joe Stampley. Danny composed and performed music for Demme’s Melvin and Howard and Something Wild. He is currently recording his third full length album in Nashville.